Now Offering Carrier High Efficiency Air and Heating Systems. Better for where you live. Better for where we all live. Quieter fans means you wont even hear when your furnace is running. Want to reduce your heating costs and your impact on the planet? Bring more comfort to your world. Reduce your heating costs by up to 1/3 while also reducing your impact on the environment*. 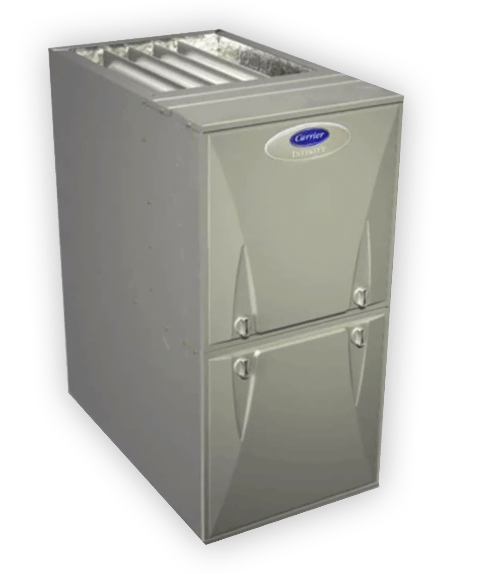 *Heating cost savings compared to a 64 AFUE furnace. Presenting a reliable, energy efficient and quiet way to cool your space. 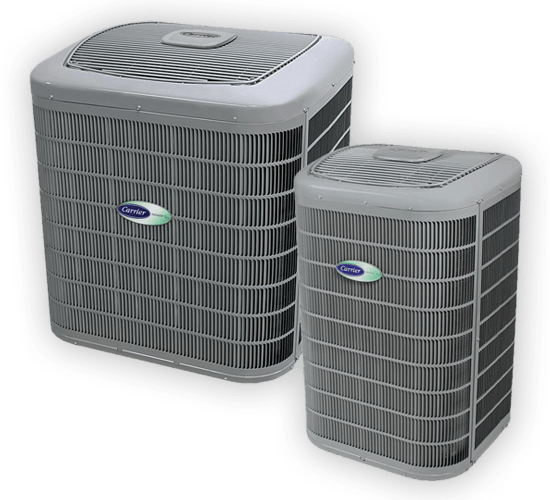 New AC Units can be up to 4 times quieter than your current unit. Up to 21 SEER AC Units available. Keep your home at a comfortable level all year long. Rebates may be available, give us a call for details.